Unfortunately, life is not always fair. Bad things do happen to good people. Personal Injury & Accidents happen, but in most personal injury law cases, they were preventable and caused by the negligence of some other party. Under California personal injury law, an inattentive or reckless driver that causes an accident or a work injury accident caused by the negligence of a third party can change the life of the personal injury accident victim and their family forever. Have you been a recent victim of an auto accident or an injury at work? Have you been the victim of a motorcycle accident, dog bite, personal injury due to the negligence of another, nursing home neglect, or chemical exposure? No matter what your personal injury may be, the personal injury attorneys at The Law Offices of Cleveland & Metz can help. We are a personal injury law firm with experienced aggressive Personal Injury & Accidents lawyers that have a proven track record of personal injury law success. We get results by securing settlements under the personal injury law to compensate you for your physical suffering, loss in earning power and emotional distress. 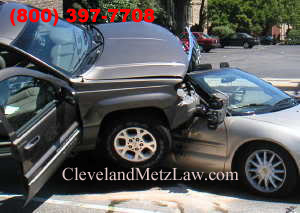 When accidents happen, personal injury attorneys at Law Offices of Cleveland & Metz are there for you and your family. Based on the specifics of your case, the personal injury lawyers at Cleveland & Metz will provide all the necessary personal injury law guidance, representation and information required to meet your needs. 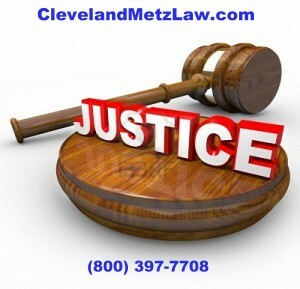 Our goal at The Law Offices of Cleveland & Metz is to provide you with personal attention and the highest quality personal injury law representation to obtain a successful and prompt resolution of your personal injury accident case. Our personal injury attorneys will arrange for you to receive immediate medical treatment on certain types of cases. Obviously if you are injured, getting prompt medical treatment is necessary for you to recover from your personal injury accidents injuries. If you retain our personal injury attorneys for a personal injury case, we will arrange medical treatment for you even if you do not have medical insurance. It is not your fault that you were injured due to the negligence of another, and you do not have to suffer without medical care under California Personal Injury & Accidents law. We can refer you to medical providers in all medical specialties throughout California. If you have a genuine emergency, go to your nearest emergency room for care. We understand that often times, you need to speak to a personal injury attorney after hours. Our firm believes that you should not have to wait until normal business hours or weekdays to speak to a personal injury lawyer for your first contact. *If we do not answer the phone immediately, leave a detailed message and a personal injury attorney will call you back to discuss your legal issue. If you have a personal injury accidents or workers compensation case and are injured and unable to travel, we will come to you with all of the paperwork necessary to retain us to represent you. *In most cases a personal injury lawyer will call you back within an hour, however, in some cases a lawyer may not be available immediately. If a personal injury attorney is not available immediately or within an hour, your call will be returned as soon as possible. However, simply having “the right to recover” for your injuries does not mean that you will be adequately compensated for your injuries. Insurance companies do not voluntarily pay money on claims. Even if you do not have insurance, you may be entitled to a limited recovery. Our experienced team of Personal Injury & Accidents attorneys and support staff will investigate the facts of your accident, evaluate your case or claim and handle all of the details required to obtain the maximum recovery for you, the client. The experienced Personal Injury & Accidents attorneys at The Law Offices of Cleveland & Metz also have a proven history of success of successfully dealing with insurance companies on a daily basis and personal injury cases. 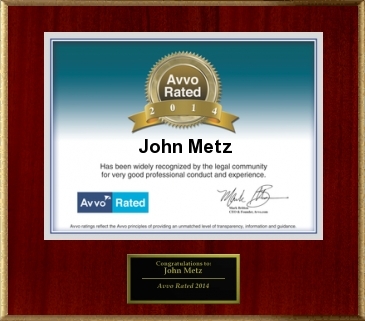 We work hard with the goal of obtaining the best settlement of your case or claim. Caller contact us now for free consultation with a Personal Injury & Accidents lawyer. Remember, Insurance Companies always have personal injury attorneys to defend them, so should you. John Metz is an experienced jury trial attorney.